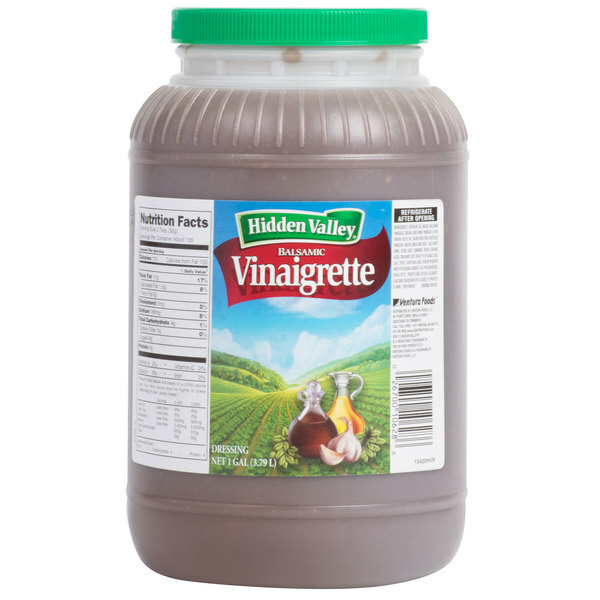 Stock up on this Hidden Valley 1 gallon balsamic vinaigrette dressing for your salad bar, restaurant, or catered event! Fresh and flavorful, it delivers just the right amount of rich, tangy taste to your customers' food. 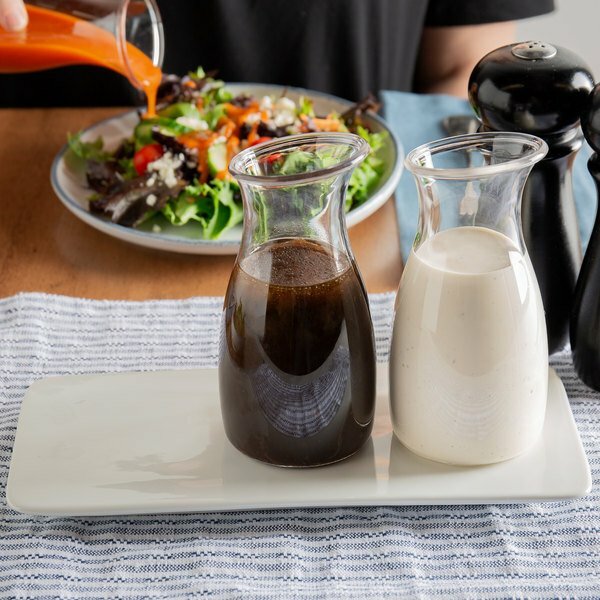 Made from balsamic vinegar, this dressing makes an excellent complement to olive oil. Common in Italian cuisine, it has a darker, fruity taste that enhances fresh berries or tomato and mozzarella salads. One light yet flavorful drizzle of balsamic vinaigrette is perfect for sprucing up flatbreads, sandwiches, and wraps. This flavor-filled dressing is perfect for salads or marinades. Hidden Valley is a well-respected name. The one gallon container is perfect for back of house use. It's also great for use in salad bars. Hidden Valley's Balsamic Vinaigrette is great for marinades, salads and as a topping for subs. It tastes great and made by a well know company. The Hidden Valley balsamic vinaigrette is light and tangy making the perfect dressing for salads and pasta. The best balsamic on the market and taste superb.